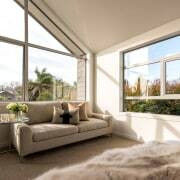 Windows flood natural light into your home and, taking up a fair amount of wall space, they greatly affect the look of your project inside and out – two key reasons to consider your window systems carefully and to give their selection priority when it comes to designing your home. The Fairview Classic range of windows and doors benefits this project. Elite North Harbour (ENH), one of Fairview's fifty-plus nationwide specialised manufacturers, provided informed product advice, and produced the windows and doors for this challenging fit-out. ENH's general manager Joanna Jin says the owners wanted the windows on the first floor to align perfectly with the roofline and for large picture windows to bring in plenty of light. "The Fairview Classic range was selected because it meant they could have the design and look they wanted without blowing the budget. 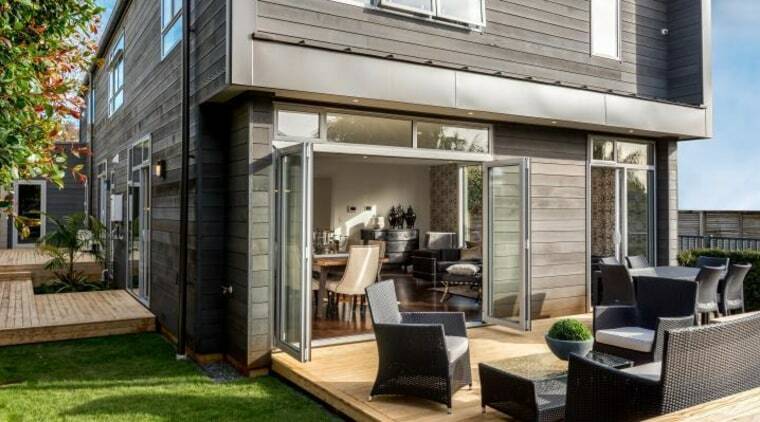 "In the living area, Fairview Classic bi-fold doors create an easy flow out to the deck," she says. "On the first floor, a combination of awning and fixed windows was used to create the stand-out large triangular shaped windows." 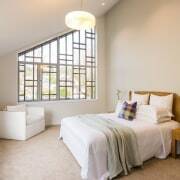 To ensure these windows were all angled to the same precise degree so they lined up with the roofline, the team at ENH worked with the site manager to decide how best to customise the Fairview joinery to produce the window shapes required. 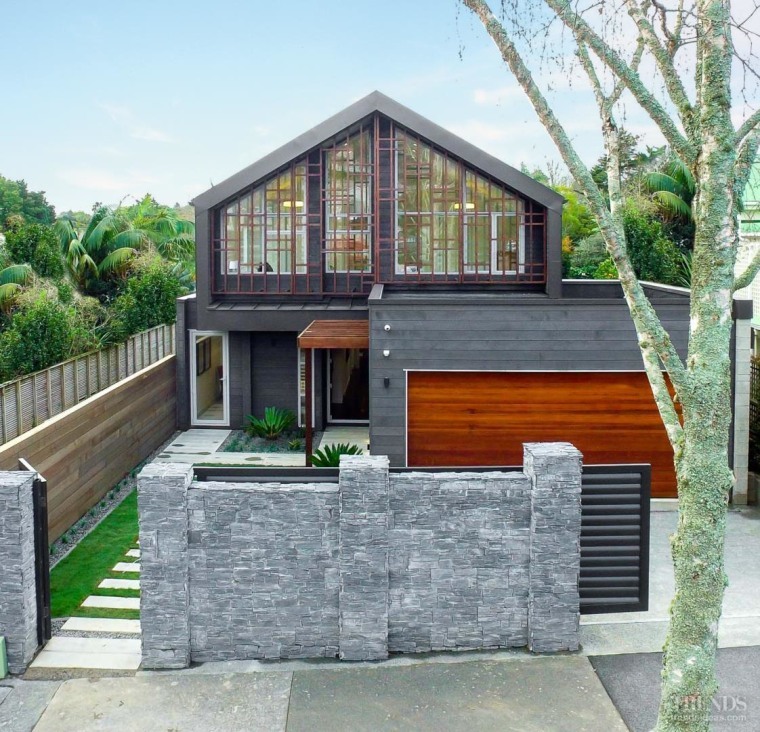 These were then fine-tuned to perfection at ENH's modern Auckland factory. As the house is in a green setting, too many colours would not have suited the environment. 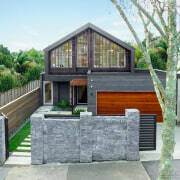 So an understated Silver Pearl powdercoat finish was chosen for the framing – also linking with the colour of the garage door trim while quietly complementing the cladding finishes. The Fairview Classic range can be installed in varied wall thicknesses and easily spans large openings, and is a cost-effective solution. 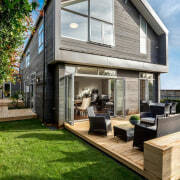 Its minimalist style meant it also fitted well with the home's timber accents and modern interior.